Maybe she should turn on the air conditioner. In the middle of the summer’s sweltering heat, you climb into your comfortable bed. The temperature in your room is set just right – not too hot, not too cold. 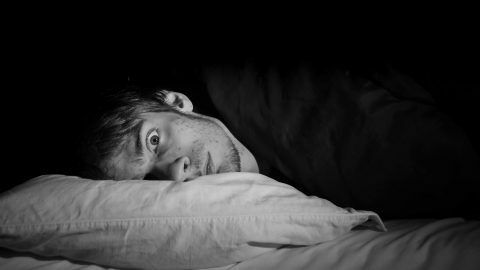 You slowly drift off to a deep sleep only to be rudely awoken later in the night, broiling in damp, sweaty bedding. WTF? Unfortunately some of the most popular pillows types containing down or memory foam retain your body heat while you sleep making them uncomfortably hot. Many people inevitably crank up their air conditioner. It’s far from a good solution. Cooling a home costs the average American household about $375 or 17% of its annual energy bill. How to stay cool in bed? Many cool sleep solutions are available, but not all are effective. You can flip it over to the cool side all night long, but it will always build up and retain heat. Down, feather, polyester and foam pillows all suffer from this same problem. The fact is that these types of pillows aren’t very breathable; the fill restricts airflow within the pillow. The temperature of the air that’s trapped inside rises, turning your pillow into a little oven. There are some interesting solutions for a hot pillow out there: some use mysterious fabrics, others liquid cooling gels or refrigerated pads. These all address the issue with varying degrees of success. Most however, do not address the important issue of breathability. It’s simple: a breathable pillow is a cool pillow. 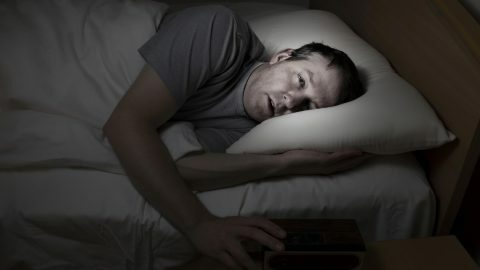 If air is able to pass through your pillow while you sleep, it will not retain or build up the heat generated by your body. 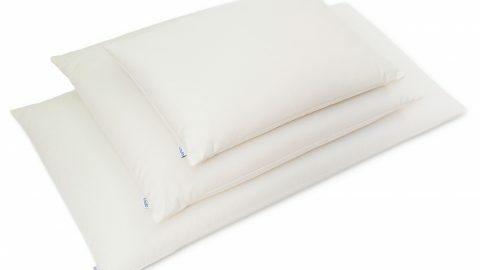 Most of the “cool pillows” available do not allow air to move through the fill with any more ease than a traditional one. The simplest way to stay cool in bed is with a buckwheat pillow. Buckwheat pillows are filled with thousands of tiny buckwheat hulls. These are the by-product of milling the buckwheat plant for its nutritious groats (most commonly used to produce soba noodles). The hulls’ hollow, irregular shape allows warm air to quickly escape your pillow, while being replaced with cool fresh air. Moisture collects on your skin and inside your pillow while you sleep. The unique shape of the individual buckwheat hulls inside the pillow allows air to flow more freely through the pillow, increasing evaporation of that moisture. The evaporation produces a cooling effect similar to a fan’s. Buckwheat pillows aren’t just cool, they provide terrific support for your head and neck. The buckwheat hulls’ unique character gives them the ability to shift and conform perfectly to the shape of your body. This allows the weight of your head to be evenly distributed, which will prevent any undue stress on the muscles in your neck and back. I recommend our own Hullo buckwheat pillow. Don’t take my word for it—check out these reviews from our customers. Read More: Does That “Cooling Pillow” Really Work? I Tried Four. Try a breathable Hullo buckwheat pillow for 60 nights. If you're not sleeping better, just send it back to us for a refund. In the colder months, I’ll leave my pillow in the three-season porch or vehicle and it is cold and fresh when I bring it inside.